With the popularity of shows like Shark Tank, Drangon’s Den (UK and Canada) every day people are now being exposed to real life business deals that could possible be worth millions. Television has a way of making things seem larger than life and much more appealing than real life. We here get more questions about funding than anything else. The truth is, most business don’t need funding. And, many that will need funding later on, should be delaying that process for as long as possible. 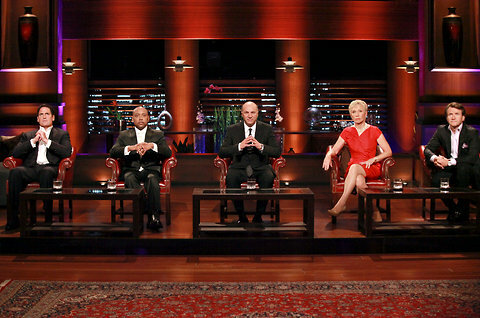 So before you submit your video to appear on Shark Tank, think about these truths in lending. One mistake new entrepreneurs make is their assumption that they need more money to run or grow their business. While having capital is important for a growing business, most small businesses can do fine by cutting expenses and utilizing the revenue that they are currently making. Take a look at your business model. Do you have office space that you don’t need? Do you have stuff in storage or a warehouse when most of the things will fit in your garage? Are you spending money on a website, materials, a PR firm, or anything else that you don’t need right now? The thing you need most is a profitable business not something that looks like a profitable business. Use shared office space or work from home instead of renting office space. Exhaust every free marketing avenue before you spend any money on customer acquisition. Focus on increasing demand instead of buying inventory or advertising for a product that no one may want to buy. Do you know how venture capitalists read a business plan? They read it from back to front. The reason is because they want to know who is involved in the business and if they have the expertise to make them the return that is worth their time. Venture Capitals that invest in your business are also investing in you. So let’s say that you are very experienced in the space you are venturing in and your business plan reflects it. You were able to convince the ventures that your company is a company they want to fund and you are the person they want to do business with. If that were the case, they really don’t want you out there seeking more money. They want you to run your business. Since this is the venture’s approach to doing business with you, why isn’t this your approach to your own business? Focus intensely on growing your business because as the entrepreneur, that is your responsibility. Spending time finding money that you may not even need, is a waste of valuable time that you could be using to make the money that will fund your business. Just like a college student that got their first credit card, many entrepreneurs have very little problem spending someone else’s money. Even though they are not spending money shopping, they tend to be more liberal with their spending since its not valuable income generated from sales being spent. Spending your own money is a much better way to keep yourself honest and keep yourself focused on the goal. Many hedge funds require their fund managers to have their own money in the funds they are investing in. It prevents the managers from taking unnecessary risks since they have skin in the game. This is something entrepreneurs looking for funding should really consider. The more of your own and the business’s money is used for growth, the more likely you are to be conservative with the spending. You May Become an Employee of the Company You Started. It always amazes me when the entrepreneurs on Shark Tank are shocked by how much equity the Sharks want for the amount of money they are putting up. It seems they think that because they have an idea, created a prototype, or have experienced some growth, that investors should let them have the biggest piece of the pie. How untrue that is. Investors are bosses, and they want to get as much money from their investment as possible. That means that, as the business owner, you will have to forfeit more of the company and profits and sometimes, even more of the control. It’s even possible to get fired from the company you started. Don’t believe us? Check out 10 founders that were fired from the company they started by clicking here. Taking Candy from Strangers: A Good Idea? Remember when your mother used to say “don’t take candy from strangers”? She may have been trying to prevent you from being kidnapped but her advise may come in handy when looking for funding for your business. We hear so many stories of bad business deals and shady investors. Its crucial to do your due diligence before entering any business partnership. Before taking any money from an angel investor or venture capitalist, be sure it is the right move and the right time for your business or else you may be regretting jumping into a shark tank.